Smoke and Mirrors: Unwarranted Jurisdiction Over US? 16th Amendment and Constitutional Income. Unwarranted Jurisdiction Over US? 16th Amendment and Constitutional Income. Have We the People "elected" to leave the jurisdiction of the Constitution? Into a jurisdiction foreign to our constitution, such as a corporate reality? If so, to be sure, we elected to do this without knowing what we were doing. 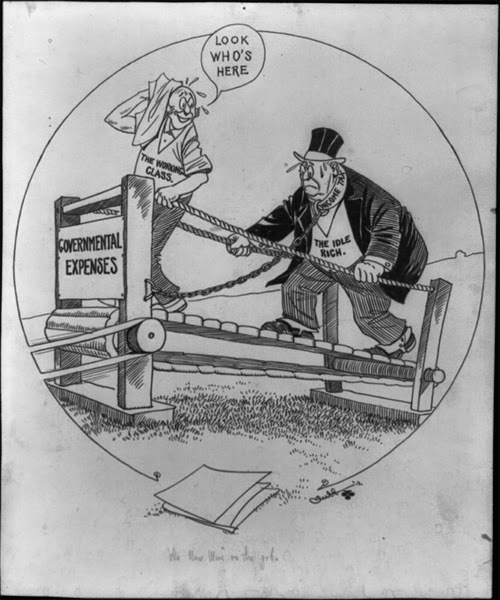 The ratification of the 16th amendment was one of the biggest issues in 1913 because the American people thought this federal income tax would tax the accumulated wealth of the country: basically what the Vanderbilt’s, Rockefellers, and the Morgan’s, etc--those few people who benefited from the Industrial Revolution and the monopolization of American industry-- owned, the millions of dollars in bonds and investment on Wall Street that were generating enormous income. That and only that income was supposed to be taxed and the American people were all for it. In other words, the purpose of the 16th amendment was to bring tax relief to working class wage earners by taxing the top 2% (at the time, a single person making over $3,000 year or a married couple making $4,000 year. Remember the average working family made $450 year). So how did we go from the top 2% paying income tax to the bottom 95% paying the majority of income tax? Well, the answer lies in who wrote the amendment, Senator Nelson W. Aldrich married to a Rockefeller, and how it was written, in vague language that could be manipulated later. And let's not forget the creation of the Federal Reserve system which, since that time has seen the value of the dollar fall by more than 98%. Through manipulation of the word income, and the tinkering of jurisdictional boundaries, more and more of us were incorporated into the taxable bracket: bracket creep. However, the income tax is an indirect tax determined in the case of Brushaber v. Union Pacific Railroad, which means that it only taxes income that is discretionary, whereas a direct tax taxes our labor, wages and salaries, our very existence. “In briefs and argument before the Supreme Court in the case of Brushaber v. Union Pacific Railroad, both Brushaber and the Government claimed that the 16th Amendment provided for a direct tax exempted from the Constitutional apportionment rule. The High Court called this claim an "erroneous assumption...wholly without foundation." Constitutional Income: Do You Have Any? by Phil Hart pp. 204-210. The courts are not going to unravel this web of deceit because the supreme court refuses to take cases that would clarify jurisdiction and meanings related to our convoluted tax system. 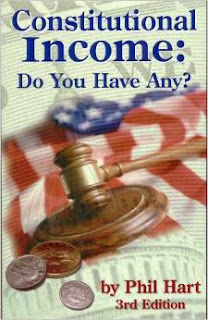 In the thoroughly researched book (19,000 pages of statutes and regulations) Constitutional Income: Do You Have Any? by Phil Hart you will read about the intent and the constitutional underpinnings of the Sixteenth Amendment, the Income Tax Amendment and how the American people are being taking advantage of by our government through making the average person pay taxes on money that is not legally taxable. Clubb, John Scott. "The new man on the job" 1913.